Edward David Anderson is an American songwriter and veteran of the road who spent his formative years fronting the revered Midwest band, Backyard Tire Fire. Known for infectious melodies and memorable messages he penned 8 albums for the band and played countless shows across the US and Canada. Since their hiatus in 2011 EDA has continued to write and tour in various incarnations. His delivery in the live setting is both dynamic and impactful showcasing a natural prowess on banjo, acoustic/cigar box guitars and foot percussion. He defines his sound as Black Dirt Music. "Songs about people and places, about life and love and loss. It's roots music, cultivated in the fertile soil of the Midwest." 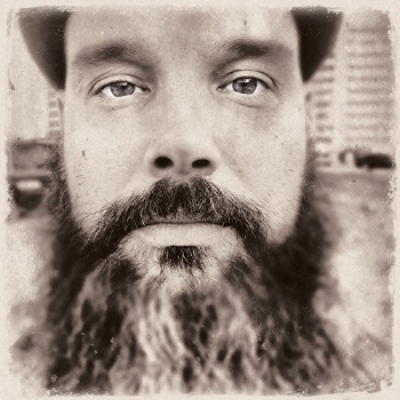 His 2014 debut, Lies & Wishes (produced by Steve Berlin of Los Lobos) was lauded "a superb solo effort” by No Depression while David Dye (NPR World Cafe) praised his follow up Lower Alabama: The Loxley Sessions (2015) as "a wonderfully soulful record." With his recently released Chasing Butterflies (10/19/18, Black Dirt Records), EDA made the album that’s been on his mind for some time now. “I've always wanted to make a record in Muscle Shoals. But it needed to be the right batch of songs with the right people,” he recalls. Securing Jimmy Nutt as producer and enlisting local musicians yielded “a stunning collection of modern Americana” (Donald Teplyske of Fervor Coulee). From the hopeful opening lyric, "It's a beautiful thing/when two people sing/in harmony," to the haunting title track’s "There's a restlessness I guess/I'm uneasy I confess," EDA takes you on a vast & colorful musical journey. You get the feeling he's lived these songs. That the sleepless nights, the long drives, and the never ending search fuel the fire that keeps Edward David Anderson out there Chasing Butterflies. "The story of my life's written on my skin," sings Edward David Anderson on the devilishly sardonic “Bad Tattoos” from his recently released Chasing Butterflies (Black Dirt Records - Oct. 19, 2018). The song, like the artist, is brutally honest and has a worn feel; like it's coming from someone that has been around and put in the miles. "I don't think I could have written these tunes when I was 25," Anderson explains. "Everything I've done, the people I've met, all the places I've been, have brought me to this moment." The gifted songwriter and multi-instrumentalist, who spent a decade fronting the revered Midwest rock band Backyard Tire Fire, broke away and released his ambitious debut Lies & Wishes (produced by Steve Berlin of Los Lobos) in 2014. The album was lauded "a superb solo effort" by No Depression, and David Dye (NPR World Cafe) praised the follow-up Lower Alabama: The Loxley Sessions as "a wonderfully soulful record." Both releases were significant steps forward for EDA, but on Chasing Butterflies there is a feeling of arrival. Absorbing and learning and growing through life experience has clearly refined his ability to write about the human condition. In “The Best Part,” he sings to his wife "You help me to understand/you make me a better man/I'm gonna do the best I can/to love you," and you believe him. This kind of sincerity and honesty along with a candidly dry sense of humor recur throughout the album. It was through a tip from a friend that Anderson connected with GRAMMY Award winner Jimmy Nutt (SteelDrivers) from the iconic Shoals region of north Alabama. During their first conversation it was clear the two had a natural rapport and he quickly set a course for Jimmy’s NuttHouse Recording Studio in Sheffield. Diverging from past albums EDA used local session musicians for his backing band. “I felt the way to get the most authentic Shoals sound was to play with people who live and work there,” he said. Nutt played bass and brought in Jon Davis (Dylan LeBlanc) on drums, Brad Kuhn on keys, Todd Beene (Lucero) on pedal steel and Kimi Samson on violin, and the chemistry was instant. The core of the 10-track album was cut live in just a few short days with minimal overdubbing, making it feel both cohesive and human. "We brought in strings on a few and pedal steel on one, but didn't want to get too carried away," Anderson recalls. The result is a stunningly sublime, less-is-more snapshot of a writer in his prime. The songs on Chasing Butterflies are as diverse as they are hooky. As thought-provoking as they are heartbreaking. They are simple yet complex and were thoughtfully produced and recorded. From the hopeful opening lyric, "It's a beautiful thing/when two people sing/in harmony," to the haunting title track’s "There's a restlessness I guess/I'm uneasy I confess," EDA takes you on a vast & colorful musical journey. You get the feeling he's lived these songs. That the sleepless nights, the long drives, and the never ending search fuel the fire that keeps Edward David Anderson out there Chasing Butterflies.